A young couple after getting married goes for their honeymoon but instead of trying something close to Mother Nature like beach or hill station they prefer going to a forest area to enjoy a secluded place. However, they soon come across a ghost in it making a big mess out of their honeymoon, so what goes next is interesting to catch in the nearby theatre. The film starts with humor but soon turns thrilling and later again comes back with humor. Thus what we see here is a roller-coaster ride of humor and suspense passing by to and fro making the audience go for a toss trying to understand what really is going on. The film confuses the audience and thus makes them bored to take frequent loo breaks. The makers have mixed too many things together and thus made things bad to worse. Thus in terms of content there is not much interesting thing to add in this film and the makers were failed to grip the audience in a way they wanted. In terms of performances, it seemed average except a few which did perform but were lagging behind in having good space and time duration to prove their worth. The lead actors like Aniket Vishwasrao, Bhagyashree Mote, Anshuman Vichare, and Priya Gamre were like okay and did an average job without adding any impression before the audience. But some in the supporting role were good in their part but they failed to get enough screen space to prove their presence in the film. The other elements like music, screenplay, direction, photography and editing seemed okay but together failed to add values to the entertainment value of the film. 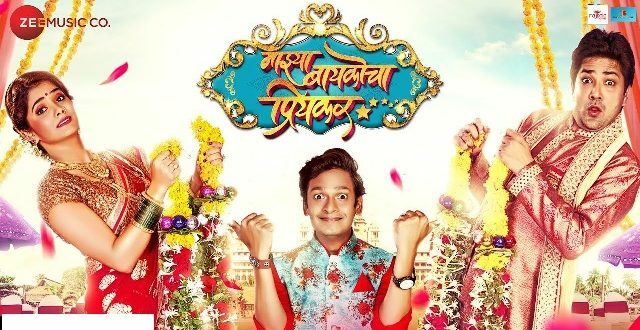 The film Majhya Baikocha Priyakar is okay but not that impressive to create the kind of word of mouth buzz which the makers wanted to create in the media. It can be a one time watch and if you are very particular about watching only worthy films make sure you only catch at your own risk or better avoid.